Last week, the Euro Prestige group including Spanish Legal Homes, were filming with A Place in the Sun Spain! As we’re sure you know, A Place in the Sun is an established property portal and popular TV show that helps people find their dream home in the sun! The Euro Prestige group and Spanish Legal Homes have worked with A Place in the Sun Spain for many years and our properties have been featured on the show many times! Take a look at David with A Place in the Sun presenter, Scarlette Douglas. This episode of the show took enthusiastic property hunters around some of Spanish Legal Homes’ listed Spanish properties for sale in the Costa Blanca / Murcia area. Our very own David Brown was there to help inform about the property and assist with the tour. David Brown is a reputable salesman of Spanish Legal Homes and the Euro Prestige group. He assists in the Costa Blanca offices and looks after clients who have travelled to Spain for a viewing trip. If you’re keen to find your home in the sun, a property viewing trip is the best way to view and buy property in Spain. Alike A Place in the Sun, we fly you out to Spain, organise your accommodation, transfers and provide all meals and refreshments. We show you 8-10 properties per day that suit your budget and requirements, in the areas you want to buy! The 3-4 day trips are arranged on a 1-to-1 basis with one of our bilingual and knowledgeable staff. 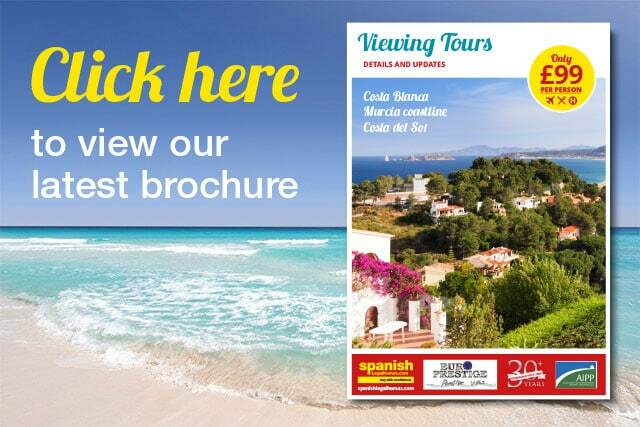 If you’re interested in viewing Spanish property, why not book a £99 viewing trip with Spanish Legal Homes? To find out more visit other pages on our website, complete our booking form or call us on 01202 971614.